Hi. My name is Mardhiyyah Rosli. I am 26 years old. I am born and live at Kuala Lumpur. You can call me Mya or Diya. I've spent my whole life in here minus 5 years because of studies. I might be a Kuala Lumpur kids. But I failed in understand this country's road. It might because I don't have any car licenses. I have been studied at SK Bandar Tun Razak (1) and SK Bandar Tun Razak (2) for 7 years including special years. Then, I continued my high school at SMK Bandar Tun Razak in Science Stream. I never thought to find a temporary job while waiting for SPM results. The only thing I do is take 2 extra classes such as English language and Computer class to spend my free time. Before SPM results are out, I have been pushed by my family to take a car license. But I'm so scared. Many things are going through my mind. 2 months after SPM results are out, I have been offered to further study in the Diploma of Computer Science at UiTM Machang, Kelantan. It might be far but chances to be admitted for IPTA is 10 of 100. My parents are kinda worried about it. Kelantan is far that takes 8 hours of travelling. It supposed to be 8 but if the holiday season comes, it takes longer than that. Depends on how you drive. But before that, 2 weeks before orientation. I got the chicken pox. You know, 2 weeks. In these 2 weeks, I've been laying down at the bed and in the meantime, I completed all the forms given for admission. At least, I don't have the chicken pox while I'm studying. The thing that we always do when medical check-up is an x-ray. But the administration of campus never kept the x-ray. The only thing they took is completed medical form. What a waste of money. Can you imagine? If you got admitted to studies 3 times, it means you need to do an x-ray also 3 times. But campus never took it at all. X-Ray costs may be RM 35. You time it with 3, you need to pay RM 105. That's a lot of money for a student. Anyway. For the first time in forever, I left the house for studies. It's quite sad to be apart from your family. You live with them for 17 years and you need to be independent on your own. At UiTM Machang, I admit that the majority of students are Kelantanese itself. At first, I'm a little bit shy to interact with them. But they are the one that interacts with me. Started with orientation, every interaction with girlfriends that I have is begun from a bedroom. They are friendly and kind. They even invited me to their houses. They are the one that takes me to hangouts around Kelantan. I have been to many places in Kelantan such as Pantai Cahaya Bulan, Rantau Panjang, Pasar Siti Khadijah, Jeli, Kuala Krai, Kota Bharu and Machang itself. I went to all this with my friends. We even have a food gathering and class trip before exams begin. I even have good and bad times during studies. I spent my studies here for 2 and a half years before furthering degree in 2014. On the year 2014, I got to advanced my studies at UiTM Jasin, Melaka. I continued my studies on Bachelor of Computer Science. Most of the students here are someone new and someone I know. We are the first batch on UiTM Jasin. UiTM Jasin is a new campus that year. We are the first one that launched the campus. Friends here are friendly and okay. Firstly, we got to live in the dorm. Just for a few months actually. Then, I have to move out where I have to rent a house outside the campus. It's not even near. The campus is inside a village. While my rental house is in another town. Can you imagine living outside far from campus without transportation? For the first year, yeah I got backed up. But after that, my whole life is miserable. The final year is miserable and hope in friends are gone. I don't trust them anymore. I don't know what is wrong. But they are avoiding me. I am a loner, I want to be friends. But they are the one that left me behind. Thank you for those who think that I am still their friends. And thank you for someone that lets me ride their car to went to class. I got lessons while studying. Don't trust and follow friends too much. It affects you a lot. 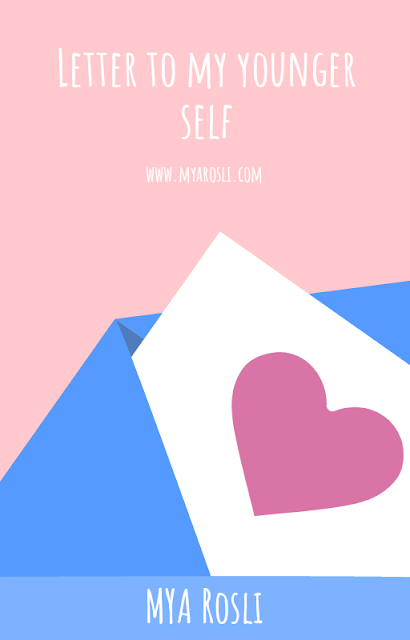 You should decide what good and bad to yourself. If your decisions stuck, find someone professional to help you. You can ask for your friends but after deciding everything. By the way, my studies are stuck in the middle of the way. I got depression because of friends and project. When I got this symptom, my friends are slowly moving far away from me. I am struggling with my big projects. I don't know which person that can help me actually. I lose friends, trusts and studies. Because of my emotion unstable, I give up and quits. It's very frustrating. But it even more frustrated when you lose friends and hope. Maybe it is not my day to achieve a degree right now. That's happened 3 years ago, what I do now is working to pay all my study loans. I don't want to trouble anyone in order to make up my mistakes. You know what, I am a student right now. I took Tahmid and Tajwid class every Tuesday night. I learn hijaiyah letter started from the basics. My classmates have all ranges of ages. Even my ustaz is younger than me. He is so funny. The class is fun and interesting. I might regret what happened in my degree year. But I don't regret anything that happened right now. I love my life, my family, and my work. I have gone many challenges through all these 3 years. More difficult than my studies. I still have troubling in trusting people. But thanks to that, I tried to understand and trust myself first before others. Right now, I have a lot of friends even though we are not so close. That's all story about my student life. I just want to share what I do and what I experienced as a student. It might be challenging but it gives you time to understand and believe in yourself. Do you want to know more? Wait for the next entry. Okay? In this case, I love to learn 2 major subjects; English Language and Pendidikan Islam. I tend to focus more on these two classes. Maybe the teachers and topics are interesting to learn. For this entry, I want to speak more about the English Language than Pendidikan Islam. You know why? Pendidikan Islam is a subject that I need to learn for my whole life even though I'm not a student. Pendidikan Islam has various unlimited topics that we can learn. This subject has many references such as Al-Quran and Sunnah. I'm still learning in class and at home. Don't ever stop and never give up on it. The English Language is a second and international language. We can use English to speak or communicate with foreigners. I don't know why I love English. But right now, I preferred to write my entry in English rather than Malay. I like the Malay Language because my race is a Malay. I speak with my family and friends in Malay. However, when expressing my emotions and problem, I like expressing it in English. The word 'I' is better than 'aku'. The length of this language is simple and understanding. That's why when students nowadays learning Maths and Science in Malay. Its become complicated because of the different terms and pronunciations. Malay language in the syllabus is using based on Dewan Bahasa dan Pustaka. While what we communicate with family is 'bahasa pasar'. The differences between both of them are formal and informal. I think the English Language is a formal and informal language. How we speak is based on our intonations. If the tone of language is high, it becomes an informal language. It shows disrespect and rude towards people. By making an entry, I can write an English entry spontaneous and on the spot. Give me a simple topic and I can write in on the spot. Most of my English entries are a spontaneous article. Just understanding the topic and I can elaborate it very well. Compared to Malay, I need to jot down the point first and make a draft. Sometimes it takes more time than usual. If I wrote in Malay, I need to be sure the sentences that I wrote is appropriate and understandable. I also can watch a movie without subtitles. But if the sound is too unclear, I really need a subtitle. In television, the Malay subtitles for certain movies or shows are acceptable. However, there are a few channels that translate the word exactly its meaning. Translating make the subtitles more complex because of certain words. In translating, we should make it compatible with a sentence. Mostly I used English subtitle in anime. If another subtitle came up, it becomes confusing. Maybe because I used to read English subtitle for Japanese anime. Maybe I already understand Japanese in between English subtitle. At last, I love to hear English songs, especially from the '90s. I have 700 English songs compared to Malay in my laptop. While my smartphone has 350 English songs compared to other languages. That's how much I love English too much that I preferred singing English songs in the bedroom. Hehehehe. My favourite singers also sing English songs such as Backstreet Boys, Blue, Westlife, Avril Lavigne, Demi Lovato and Selena Gomez. I love their song very much especially BSB. I even have a crush on Nick Carter. Actually, I love all of them. Hehehehe. This is the proof I love the English Language. I love writing my entry in English. Expressing my emotions and my life in English. Thanks to all teachers that taught me all subjects especially English Language. I still make a grammatical error and I want to improve it more. This is one of my entry that I want to say to all teachers thank you for teaching me from zero to valuable knowledge. Your teaching in any subjects makes me who am I right now. Arigatou Gozaimasu. Thank you for everything. That's all for my favourite subject. What is yours? And what do you like about it? Share it with me. Just let me know. 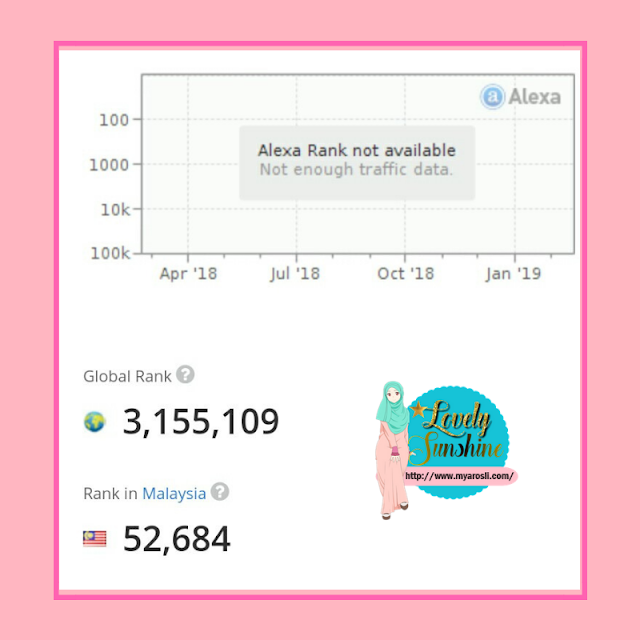 Hari ini Mya nak tunjuk ranking Alexa untuk bulan Februari pula. Better buat bulanan daripada tahunan. Jenuh nak menunggu tahun yang belum tiba. Mya nak lihat ada peningkatan atau penurunan dari bulan lepas. Alhamdulillah, Mya tak ada masalah dalam membuat entri tetapi dari semasa ke semasa. Jika ada kelapangan dan idea yang mencurah-curah. Bila idea dah mencurah, memang Mya akan draft dan scheduled. Supaya tidak terlupa di kemudian hari. Tapi kalau tak berupdate tu maksudnya tak ada idea atau tiada masa sepanjang minggu bekerja. Tapi kadangkala, idea sentiasa ada. Buat draft separuh tapi berhenti tengah jalan. Nak bagi entri panjang dan sedap dibaca kadang-kadang makan masa juga. Ada sekali tu, draft punya panjang menjela. Tapi lupa save pulak. Bila nak buat balik, ayat yang tadi hilang entah kemana. Terpaksa buat ayat baru. Kadang-kadang idea dan susunan ayat datang sekali je. Hilang sekali, hilang untuk selama-selamanya. Semenjak berkerja waktu pagi dan rehat pula pada waktu malam. Mya tidak lagi menulis draft di dalam buku. Segala idea dan draft setiap entri akan Mya tulis di Diary app. App ini asalnya khas untuk personal diary. Tapi entahlah. Mya lebih suka tulis draft kat sini. Ada idea je terus tulis. Dah siap draft, copy paste kat blogger dan publish. Hehehehe. Dah siap satu entri. Macam entri ni. Okaylah ini adalah world ranking dan Malaysia rank untuk bulan Februari ini. Nowadays, there is a lot of television program that is held on television. There are many types of program that we can see on television. There are dramas, movies, sports, children's, news and variety shows. They are available in multiple languages. An example of ASTRO; they have channels that involved a variety of languages such as Malay, English, Mandarin, Hindi, Japanese and Korean. For me, I like to see Japanese Anime and English Movies more than Malay drama. I am a fan of anime since I was 17 years old. Since then, I will download more anime to make as my collections. Of course, I preferred superpower anime more than romantic anime. My all-time anime is Fairy Tail. I have watched it many times on my laptop. This year, Fairy Tail Final Series is on television and I have recorded it. I watch it on the weekend or free time. Besides, I also like to watch Korean television shows. There are many shows that attracted me more to K-entertainment. I love their idols, songs, dramas and variety shows so much. But I'm not too fanatic towards the celebrity. I can list the television shows that I've watched started from dramas to variety shows. Sometimes, my family especially my younger brother influenced me more in variety shows. However, my favourite television program is Running Man. I love this television program since episode 01. This program actually is influenced by my older brother. I love watching everything he watched except for horror. This program is aired in the year 2010. Its already 9 years and this program still going on. Every episode is varied and guest are invited. Every celebrity guest that came into this program, not just an actor and actress. There is also a comedian, singer, announcer, host and athletes. The members might be changed. But the one that makes this program, funny and succeeds through all the time is Yoo Jae Seok. Other members that are going through with Jae Seok since 2010 is Jee Seok Jin, Kim Jong Kook, Haha, Song Ji Hyo and Lee Kwang Soo. The other members that have been changed and new are Lizzy, Song Joong Ki, Kang Gary, Yang Se Chan and Jeon So Min. Not all the episodes are funny, but the members make this program very entertained. Even though I have watched it for 9 years, Kwang Soo characters are the one that I despised the most. His attitude is so painful to see. His dumbness and greediness especially when winning and eating is annoying and disgusting. He will use any dirty tactics to win and sometimes he loses eventually. But I love his combination with Jae Seok. They are compatible together in every mission they did. I love when they fought each other to win. I also like when he teams up with Kim Jong Kook, and he dresses up as a girl, Kwang Ja. They are so funny. What I love the most about this program is family entertainment. I always watched Running Man with my family every Friday night. We even recorded every episode that appeared on any channels. This program is gathering a family such mine to have fun in watching television. Even though the time is aired quite late. But we open our eyes to watch Running Man together. If my father is very sleepy and didn't see Running Man that night. We will watch it again tomorrow morning. This program never let you down. We watch repeatedly and it never boring. Running Man makes my day, especially when watching with my family. I can laugh and smile all I want just seeing their funny skits or every fighting they had. They are sharing their problems they had about the program. They even know another member background. They are so close to each other. The members have been a family for 9 years. That's what I love about it. They fight and reconciled every episode. Running Man Daebak. The first television program that makes all my family watched it. They make my family laugh until I cry. It is funny. I never felt this way on another television program. I love it because Running Man gathers my family together. I'm having fun. Sometimes, my younger brother woke my father up to watch it together. And of course, my father woke up and watched it until the end. 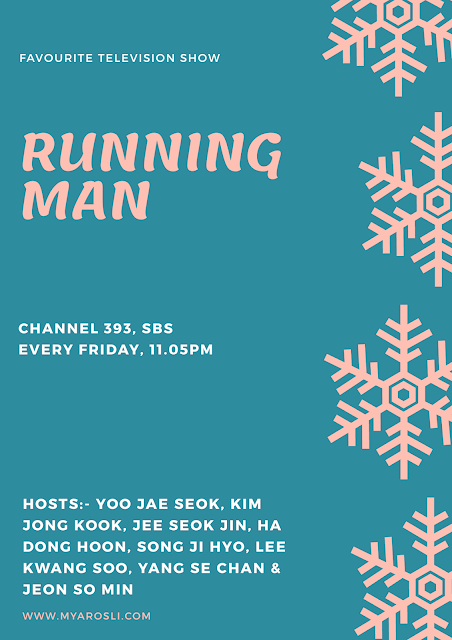 So, my favourite television program is Running Man. I L0V3 RUNNING MAN. That's all for today. Saranghae. Hi. My name is Mardhiyyah Rosli. I am your future self. I write this letter to you to remind and give advice that I should take a long ago. There are many things happened to me either bad or good. I just take this challenge to remind me of the past. I mean lessons that I want to tell you. Whatever happened in the past let bygones be bygones. I'm not regretting everything that makes me right now. I just regret trusting people too much. I want you to have a lot of friends that always be there whenever you are in need. You can have friends but make priorities to your studies and family. You can have fun with friends but not all the time. Spend your time wisely. Think about yourself first before others. I said that because I am very sad about my life with or without friends. I don't even know who am I to them. I do remember them. I mean close friends. I do have friends but the one that will accompany you when you are in trouble. None. The one that can be invited to hang out and sleepover. I don't have that. That's why I want you to choose your friends very carefully. Choose them because of who they are. You don't need friends that always in trouble and make you suffer. I've been there. Couple times that make me so lonely especially when I'm in trouble. I don't want you to be like me. I want you to have fun with your friends. Hangout and sleepover at your house. Find a friend that will stand for you, cry and happy for you. Okay? I do believe people but trust takes more time to be good friends. I still have. Friends are important when your studies. Friends make your learning time colourful. I agree with it. Just be who you are. You can trust them but not with your whole heart. If it breaks, it so painful. Falling in love. Fall always make you hurt or injured. But in love, there are many things that I can describe it to you. Sometimes it sweet, sour, bitter and even spicy. Hot. I always stick to this sentence, "Don't break your friendship just because of boys." Friendship is very important to everyone. Even the boys. When you are in trouble, you always seek your friends for pieces of advice or problems you have with your boys. This friends are supportive and care about you. Sometimes, they are even jealous when you talk about your boyfriend too much. Please divide your time equally between both of them. She will be lonely when you going out with your boyfriend. But for me, you better not have a relationship at your school. If he really loves you, asks him for marriage. However, please focus yourself on studies. This is very IMPORTANT for your future. I don't want you to regret it as I do. Just choose your major and learn it like your life is hanging on it. I really regret it very much that makes me think. This will never happen if I trust myself more than I trust others. I should focus on myself from the beginning I start studies. Make your parents proud of you. Tell them you can do it. You can do better than that. Never ever to give up on your studies. NEVER!! Okay. After you have achieved your studies, you can focus on your work or relationship. At least you have a job to support yourself in the future. Please stop depending on your parents unless you are in trouble. Support them like they always do. Listens to them even they break your heart. You know why? Parents are always there whenever you are in need. They might be sighing with whatever you do. But they never give up on you. I do love my parents. I love them so much. Lastly, please find someone that you can share your problems with. Friend that keep it in her heart. Share it with your family. Even you are heartbroken because of love. Share it with them. At least, you don't have to suffer as I do. If you feeling not well, just go straight to the clinic. I begged you to outspoken and have high confidence. Not too high and not too low. Oops, please take a car license before you enter studies. I don't want you to trouble people because of transportation. Transportation is very important nowadays. Challenge yourself to survive. Besides, you can play social media but don't expose yourself too much. It might better to take precautions before something bad happen. Please spend your time wisely especially on studies, solat and Al-Quran. I think I have written everything that I want you to understand. Be good to yourself, parents and others. Just be who you are. Trust yourself more in future. Be whatever you want to be. If it gives you a colourful life, go for it. Don't seclude yourself with ANIME too much. You can watch but please do when your free time. Hehehe. Hi. Actually, I don't have any idea for entry right now. So, I make a random title that can create more entry and up to date. Of course, the title chosen is simple and understanding. I know many people have favourite colours. They love to buy their belongings which has their favourite colour. I've seen this type of person. An example; this person likes the purple colour very much. She loves everything that has a purple colour. Her handbag, her purse, her books, her accessories and even her clothes. She preferred that way. Unlike me, I do have favourite colours, but I like to mix it up. When I was in high school, I preferred dark colours such as navy blue, black and red. When buying clothes, I always asked my mom to buy dark colour shirts or blue baju kurung. You see I have many blue baju kurung. Sometimes, my mom even asks, "tak ada baju warna lain ke?". Maybe because I am the only girl in my siblings. Surrounded by boys and very close to my older brother. That's why I love when boys or men wear dark colours. It looks charming. Hehe. Besides, I am very picky when choosing colours for my shoes. I don't wear heels or woman sandals. I like wearing man sandal, sports shoes and sneakers. I always pick blue, navy blue and black for these items. Maybe I like to make it dirty. It doesn't appear very much on the shoes. Its better than wearing whites and get dirty in the mud. The pure white colour has disappeared. But it doesn't mean I dislike the white colour. I love people wearing whites on formal occasions such as wedding events or ballroom events. I wish I can wear a white gown at my own wedding someday. Just wishes. If I afford it, dreams come true. Otherwise, it's okay. No biggie. For me, white is pure and innocent colours. White also is related to angels. Kind and pure angel. But when an angel is tainted by a spot or a mistake, they become devils. Not pretty and very evil. However, my perspective towards colours is changing. Nowadays, I prefer pastel colours such as light blue and light pink. This is my new and favourite colours. I do have my belongings to these colours such as my blog, my smartphone and my latest baju kurung. The pink colours look gentle and very soft. It calms you down, especially when you are stress. These days, I kept looking for these colours when I went shopping. It attracted me to buy anything. Except for food. Hehehehe. The bright pink colour also attracts me to buying stuff such as shoes and books. Maybe I am trying to change and set my mind towards everything especially a woman. When pink colour is involved, they always say you are like a girl or woman. So, I am trying to become a better woman. A better woman in every aspect except for boys. Okay? Sometimes colours are represented by certain meaning and reflected on characters. Maybe. Even I can't describe what are my characters that people have seen and said about it. To me, pink is represent shyness, love and ladies. While blue represents calm, sky, sadness and gentleman. I appeared to be in that certain terms that I have described. I am a shy ladies that easily overwhelmed by sadness. That's my favourite colours. PINK and BLUE. Shy and sadness. Ladies and gentleman. Actually, it should be RED right? Hehehehe. What is your favourite colour? How that colour represents and reflects on your character? I love to read about it. That's all for today. See you next time. Ini adalah bahagian terakhir untuk What A Holiday. Mengambil masa nak update entri yang satu ini pun sebab tragic. Tak adalah tragic mana, cuma aktiviti yang dilakukan berakhir dengan kesakitan. Tak ada luka cuma mungkin terlalu sejuk. Cuaca panas terik, hujan turun sekejap-sekejap. Sakitlah yang dapat. Pada hari terakhir Cuti Tahun Baru Cina yang lalu, Mya bangun pagi seperti biasa. Cuma tak tahan dengan suhu yang sejuk, Mya bersin banyak kali lah juga. Bagi Mya itu biasa-biasa je. Setiap kali mandi pagi mesti kena. Tapi pagi itu Mya tak pergi kemana-mana pun. Lagipun, adik sepupu sepapat datang rumah. Datang buat apa? Meh kita cerita rutin diorang setiap kali Mya balik kampung. Mula-mula ajak adik Mya main badminton. Adik Mya memang taknak lah. Dia lebih suka main game. Tapi bila dah bermain dengan budak-budak. Ganas sangat. Budak-budak tu pula nak bermain dengan adik, bila sakit mulalah menangis. Lepas main game, tengok kartun pula kat televisyen. Macam-macam cerita kartun tengok. Nak advance sikit, main telefon adik. Adik nak main game pun tak senang. Budak-budak yang datang tu ada 4 orang. Adik beradik 2 orang; Damia dan Afdhal. 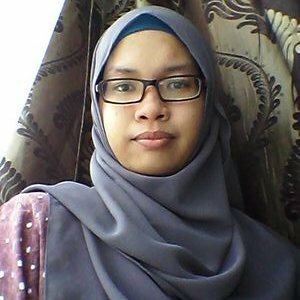 Lagi 2 orang bernama Zahirah dan Baihaqi. Umur Zahirah, Baihaqi dan Afdhal bawah 6 tahun. Manakala Damia pula sudah berumur 9 tahun. Mya paling suka layan Baihaqi. Dia tak mudah menangis macam yang lain. Lagipun budak-budak ni suka datang sini sebab ayah Mya suka memberi. Banyak makanan dan minuman manis. Bila dah beri sekali, minta berkali-kali. Mya dengan family pun tak kisah sebenarnya kalau budak-budak ni datang makan sekalipun. Tapi bila berebut makan tu yang paling geram. Diorang ni pula suka memukul dan bergaduh. Itu yang paling Mya pantang. Nasib baik ayah Mya, pakcik paling garang. Sebut je "nanti pak teh marah", terus senyap. Sementara menunggu pukul 4.30 petang, Mya layanlah kerenah Baihaqi tu. Dari makan nasi sampailah main telefon. Berebut telefon adik punya pasal. Mya buka Youtube dekat telefon. Bagi dia tengok puas-puas. Sambil melayan, terasa mengantuk pula. Dapatlah tidur sekejap. Tepat kul 4.30 petang, alarm telefon berbunyi. Nak bersiap-siap pergi mandi Berkelah. Mya dah berjanji dengan sepupu kesayangan. Bukan selalu dapat cuti sekali. Sebelum tu, Mya siap tanya lagi tak pergi mana-mana ke? Nasib baik dia rancang nak bawa kita gi mandi. Mestilah dia yang drive. Dia je yang ada lesen. Mya berjanji pada pukul 5, dia datang ambil. Mya siap minta izin ayah awal pagi lagi. Ayah izinkan. Bukan selalu anak perempuan dia ni berjalan. Tak sampai hati dengan Baihaqi yang tengah tengok Youtube tu. Kita berjanji lain kali kita tengok Youtube lagi. Apabila Masiraa dan family dah sampai, kita terus gerak. Ingatkan ayah cu ada juga. Rupa-rupanya sisters bonding termasuk mak cu. Senanglah sikit mandi, tak ada lelaki. Sebelum ke Berkelah, kami singgah di kedai runcit untuk membeli makanan ringan untuk di makan. Sampai sahaja di Berkelah, kami mencari parking dari mula-mula masuk hingga ke tapak perkhemahan. Last-last patah balik ke tempat mula-mula masuk. Ramai orang sebab musim cuti katakan. Masiraa parking dan terus terjun. Mak cu juga ada bawa keladi rebus. Mya suka makan aiskrim keladi dan pengat keladi. Tapi ini kali pertama kot makan keladi rebus. Rasanya pelik. Entahlah. Sambil makan sambil mandi. Air sungai memang sejuk sangat-sangat. Baru rendam badan, dah menggigil. Sedaplah juga mandi sungai. Bergelak ketawa sambil belajar berenang. Dalam pukul 6.30 petang, kami bertolak balik ke rumah. Perjalanan tidak mengambil masa yang lama. Sampai sahaja di rumah, Mya bersihkan diri dan berkemas. Malam tu juga nak kena balik KL. Keesokannya Mya dah start kerja. Selepas sahaja selesai mandi, Mya mengalami selesema dan berasa panas di bahagian hidung dan mata. Sementara itu, ayah membuat keputusan untuk keluar lewat dari rumah. Adik melihat kesesakan yang agak panjang di media sosial LPT. Dengan itu, Mya mengambil kesempatan untuk tidur selepas Maghrib. Mya memang tak tahan. Asyik terbersin dan hingus asyik mengalir. Dengan mata yang menunjukkan hint untuk berehat. Sempatlah tidur sehingga pukul 10.30 malam. Badan terasa lemah dan tidak bermaya. Kami bertolak dari rumah Kuantan pada pukul 11 malam. Kami ingatkan kesesakan di jalan raya telah berakhir. Rupa-rupanya semakin teruk. Ramai rupanya yang bercuti sehingga Tahun Baru Cina sahaja. Mya tersengguk-sengguk di dalam kereta. Dengan mengantuknya lagi, lampu kereta pula menyilaukan mata. Menyukarkan Mya untuk tidur. Bukan itu sahaja, pinggang Mya macam nak patah. Duduk terlalu lama dalam posisi yang tidak selesa. Perjalanan mengambil masa selama 5 jam daripada biasa. Kalau bukan musim cuti, paling lama pun 3 jam. Walaupun tak memandu pun penat. Dengan tak sihatnya, sampai rumah kul 4 pagi. Memang tak larat, balik fikir nak tidur je. Kul 7 pagi pulak, kena pergi kerja. Nasib baik musim cuti sekolah. Tak adalah bising sangat. Memang nikmat dapat baring, pinggang pun selesa. Selesema dah okay cuma tekak cepat perit dan berlendir. Apa-apa pun dah 1 minggu pantang benda manis. Tapi tekak nak juga air sejuk time-time panas ni. Cuti sekolah dah habis maka bermulalah kerja seperti biasa. Cuaca semakin panas, hujan pula kadang-kadang je turun. Bila dah turun sekejap pula. Bahang sentiasa terasa. Nak minum air sejuk boleh tapi tak boleh selalu. Bila cuaca macam ini, penyakit 3 serangkai mesti muncul. So, Mya nak nasihatkan bukan sahaja pada diri sendiri, tapi juga anda yang lain. Jagalah kesihatan masing-masing ya. Siapa yang tengah sakit tu, Mya doakan semoga cepat sembuh. Terima kasih sebab sudi baca entri dan sokong blog Mya ini. Itu sahaja untuk hari ini. Seperti yang dinanti-nantikan di dalam entri What A Holiday Part I, kemana Mya dan keluarga pergi pada hari pagi Ahad. Jeng jeng jeng. Sepatutnya kami bertolak selepas Subuh tetapi disebabkan ada yang masih berdengkur lagi, kami bertolak selepas pukul 8.30 pagi. Perjalanan ke Taman Tasik Perdana tidak mengambil masa yang lama cuma kawasan parking yang agak terhad dan jauh. Mungkin kami pergi terlalu lewat dan ramai orang yang sudah berada di sana sejak awal pagi. Kami berpusing-pusing di kawasan Tasik Perdana bagi mencari parking yang berdekatan. Kami mencari sehingga menjumpai banyak bangunan-bangunan seperti Masjid Negara, Muzium Negara, Muzium Kesenian Islam Malaysia, Ibu Pejabat Polis Bukit Aman, Planetarium Negara dan Memorial Tunku Abdul Razak. Akhirnya, kami parking kereta di Taman Burung. Dengar kicauan burung-burung di situ. Kami perlu berjalan kaki sedikit untuk ke Tasik Perdana. Kami melalui Taman Rusa sebelum menuju ke Tasik Perdana. Ada beberapa ekor rusa kelihatan di bawah jambatan. Kemudian, kami menyusuri laluan ke Tasik Perdana dikelilingi pokok-pokok yang unik. Bukan sahaja unik pada bentuk malah namanya juga sangat unik. Mya, emak dan adik bongsu melihat pokok-pokok dan berjalan-jalan secara perlahan sambil menikmati udara segar. Manakala ayah dan Fikri telah bergerak dahulu untuk berjoging. Kami mengelilingi Tasik Perdana sehingga terjumpa tempat latih tekan tubi. Di situ Mya mencuba tekan tubi dan steps exercise di palang yang disediakan. Mya hampir terseliuh akibat dah lama tidak melakukan exercise. Rasa sakit seluruh badan terasa serta merta. Ayah hilang entah ke mana. Setibanya kami di taman permainan dan Taman Herba. Ayah memunculkan diri. Kami memasuki Taman Herba untuk mengenali pelbagai jenis herba dan pokok-pokok seperti Lidah Buaya, Lidah Jin, Misai Kucing dan banyak lagi. Seterusnya, kami berjalan lagi separuh pusingan sebelum pulang. Kami berehat seketika di pondok yang tersedia. Mya sudah tidak larat apabila menaiki bukit dan tangga. Kami terus menuju ke kereta dan melihat ramai pelancong sedang beratur di Taman Burung. Kami bersiap untuk ke destinasi seterusnya. Destinasi yang seterusnya ialah Pasar Seni. Mya tak pernah lagi sampai Central Market di Petaling Street. Mak mya siap bercerita zaman dia muda-muda, waktu malam pun boleh lagi berjalan. Sekarang, pergi mana-mana je bahaya. Parking di kawasan ini agak susah kerana jalan yang sehala dan sentiasa sibuk. Kami berpusing sebanyak 2 kali sebelum menjumpai parking. Harga parking agak mahal bagi Mya. Tapi disebabkan ini peluang jarang-jarang muncul, ayah Mya bayar sahaja. 1 Jam RM 5, Lebih 1 Jam RM10. Kami memasuki Central Market untuk mencari makanan tengahari. Perut terasa lapar selepas bermandi peluh. Kami mencari makan di Food Court. Terdapat pelbagai pilihan makanan dari nasi berlauk sehingga makanan Barat. Seperti biasa, Mya akan memilih Nasi Campur sebagai makanan tengahari. Mya juga memesan Apple Juice sebagai minuman. Selepas itu, kami ronda-ronda dan singgah di AEON Maluri untuk membeli barang dapur. Last but not least, malas nak jalan lama-lama sebab dah penat sangat. Cakap kat ayah solat kat rumah je lah. Beli barang dapur terus balik. Memang taklah berpeluh-peluh, nak sembahyang. Tak selesa kot. Kita grab apa yang perlu dan kehendak masing-masing. Masa ni orang ramai sebab Chinese nak celebrate Chinese New Year lagi 2 hari. Memang busy. Dah settle bayar barang dan parking, terus balik rumah tak ada pusing mana-mana. Balik rumah terus mandi dan solat. Hari Isnin kerja. Tapi lepas tu, 2 hari Cuti Tahun Baru Cina. Mesti ada perancangan nak balik kampung kan? Nak tahu tak sama ada Mya balik kampung ke tidak? Nantikan di entri yang seterusnya. Cuti sekolah telah bermula pada 2hb yang lalu bagi menyambut Tahun Baru Cina untuk bangsa Cina. Disebabkan Mya baru start kerja sebulan yang lalu, Mya tidak mengambil cuti yang panjang. Mya hanya bercuti pada hujung minggu dan cuti am seperti Hari Wilayah dan Tahun Baru Cina. Pada hari Wilayah yang lalu, Mya tidak kemana-mana kerana ayah bekerja di Negeri Selangor. Mya hanya duduk di rumah sambil menonton cerita. Pada mulanya ayah dan emak merancang untuk pulang ke kampung pada hari sabtu. Kami bangun awal pagi serta bersiap untuk pulang. Tetapi disebabkan jalan lebuhraya sesak, kami terpaksa batalkan niat untuk pulang ke kampung. Selepas sahaja solat zohor, emak mengajak ayah untuk keluar berjalan-jalan. Emak menyebut Matsui, Mya ingatkan jenama pakaian kerana Mya tidak pernah dengar sebelum ini. Jauh sungguh perjalanan ke matsui ini. Rupa-rupanya Mitsui Outlet Park KLIA, Sepang. Agak besar juga walaupun 2 tingkat. Kami berjalan-jalan setiap tingkat sambil membeli barang. Kami hanya membeli pakaian sukan dan jualan murah di Watsons sahaja. Pilihan makanan di sini tidak terlalu banyak kerana terdapat banyak restoran makanan Jepun, Thailand dan Western. KFC dan McDonalds juga tiada. Dan untuk pertama kali, kami sekeluarga mencuba ParaThai. Makanan Thailand yang semestinya menghidangkan nasi dan tomyam. Ayah memilih menu Tomyam Campur, Kangkung Belacan, BBQ Steak dan Ayam Pad Thai. Adik bongsu suka makan lain daripada yang lain. Dia memilih Chicken Kuey Tiaw. Makanan boleh tahan cuma cara menyajikan makanan tidak sesuai. Tomyam boleh tahan tapi senduk yang diberi tidak sesuai dengan bekas tomyam. Sangat tidak berpuas hati. Selain itu, steak lembut dan sedap. Tidak lupa juga coklat yang dibeli di Chocolate Shop. Ini kedai pertama yang menarik perhatian Mya di Mitsui Outlet Park ini. Kami membeli Kinder Bueno 2x8pack, Daim 1 pack dan Peppero Almond 1 box. Kami juga dapat redeem free parking jika berbelanja melebihi RM100 di mana-mana kedai di dalam Mitsui Outlet Park. Selepas kepenatan, kami pun terus pulang ke rumah. Sebelum Mya masuk tidur, emak memesan untuk bangun awal keesokan hari. Kerana apa? Nantikannya di entri akan datang. Hari ini Mya nak kongsi resepi Ayam Goreng Tomyam Berkuah. Mya selalunya memasak hanya pada hujung minggu. Terutamanya apabila tak mengikuti mak dan ayah pulang ke kampung. Resepi ayam menjadi kegemaran Mya. Resepi juga boleh didapati di Google. Cari kata kunci dan anda akan dapat apa yang anda mahu. Mya memilih lauk ayam kerana mudah didapati dan simple. Pelbagai resepi ayam yang telah Mya cuba sebelum ini antaranya Ayam Masak Kicap, Ayam Masak Merah, Tomyam Ayam dan Ayam BBQ. Mya dah lama ingin mencuba Ayam Goreng Tomyam. Mungkin sebab Mya suka hidangan tomyam. 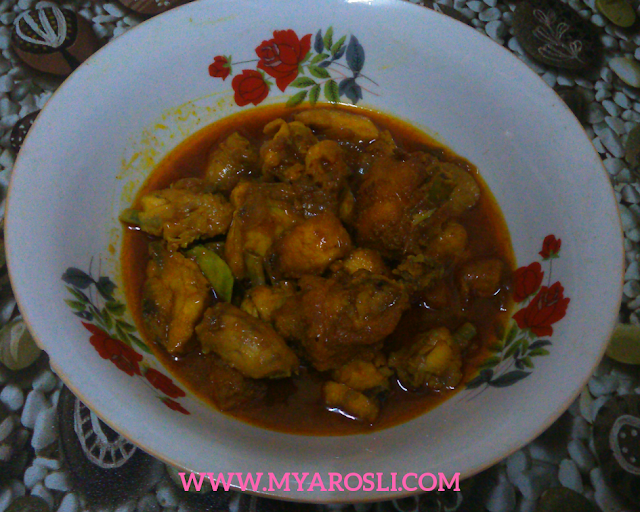 Inilah resepi Ayam Goreng Tomyam Berkuah yang telah diolah mengikut bahan yang sedia ada. Berkuah itu penting bagi Mya. Lebih banyak kuah, lebih sedap nasi untuk dimakan. Bahan yang bertanda * perlu ditumbuk dahulu. Gorengkan ayam yang telah dilumur garam dan kunyit sehingga separuh masak. Menggunakan suku minyak goreng ayam tadi, tumiskan bawang merah, bawang putih dan cili api. Tumis sehingga kekuningan. Masukkan daun limau purut dan serai yang dititik. Kemudian, masukkan perencah tomyam. Kacau seketika. Masukkan sos tiram, sos cili dan kicap lemak manis. Kacau sehingga rata. Masukkan air, garam dan gula secukupnya. Kacau sehingga sebati. Masukkan ayam yang telah digoreng dan gaul. Biarkan mendidih seketika dan tutup api. Inilah dia Ayam Goreng Tomyam Berkuah, air tangan Mardhiyyah Rosli. Mya meminta maaf terlebih dahulu kerana kelewatan satu hari. Sepatutnya Mya mengumumkan pemenang Birthday Giveaway ini pada hari semalam. Akibat kekangan masa, Mya tidak dapat memberitahunya semalam. Mya mengucapkan ribuan terima kasih atas sokongan para blogger di dalam giveaway ini. Selain itu juga, Mya ingin mengucapkan terima kasih untuk setiap ucapan hari lahir yang diterima. Mya doakan anda semua juga panjang umur dan dimurahkan rezeki. 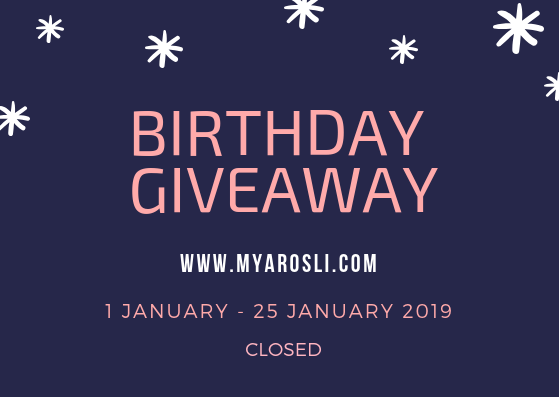 Mya akan mengumumkan pemenang bagi Birthday Giveaway by Mya Rosli. Ucapan yang diberi sangat kreatif oleh semua peserta. Sehingga Mya tidak tahu nak pilih yang mana. Mya juga sudah berjalan ke semua blog yang terlibat. 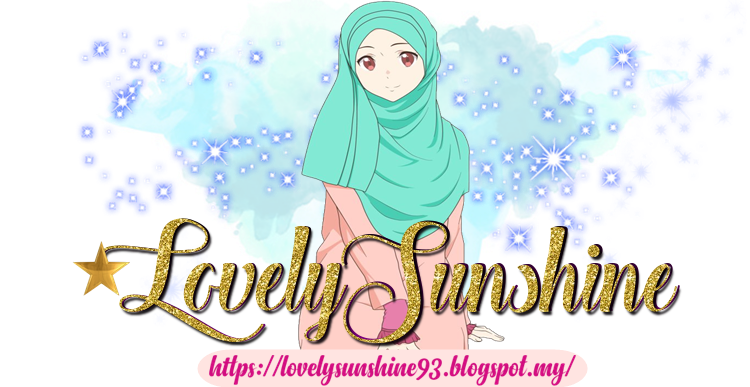 Pemenang bagi Giveaway Birthday by Mya Rosli ialah www.shikinrazali.com. I love the special notes card that you created for me. Terima kasih sangat-sangat. Mya akan menyimpan semua ucapan yang Mya terima sebagai kenangan hari lahir. Para peserta yang lain jangan berputus asa. Anda semua dimasukkan ke dalam Bloglist Februari to April 2019. In sha Allah, jika ada umur yang panjang. Mya akan mengadakan pelbagai segmen pada masa yang akan datang. Terima kasih kerana menyokong www.myarosli.com. Arigatou gozaimasu. p/s: Kepada pemenang, anda perlu hantarkan nama, alamat dan no. telefon ke diyaroslidotcom@gmail.com sebelum 15 Februari 2019.